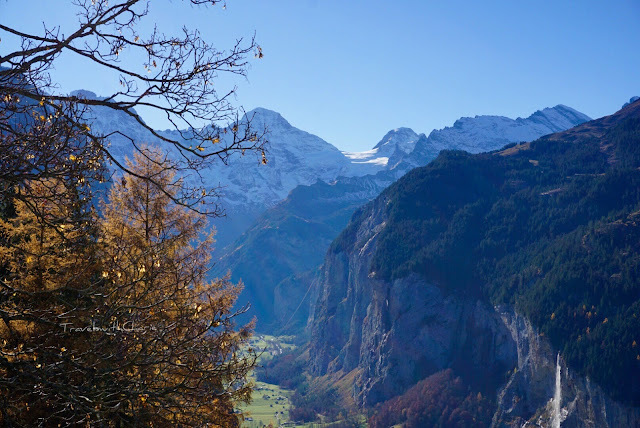 A cable car dangles above the valley on its way to Männlichen where spectacular views of the Eiger and Mönch await. The Eiger is famous for its treacherous North Face which has claimed the lives of many climbers. At Wengen, you feel that much closer to the snow-capped peaks surrounding the village. 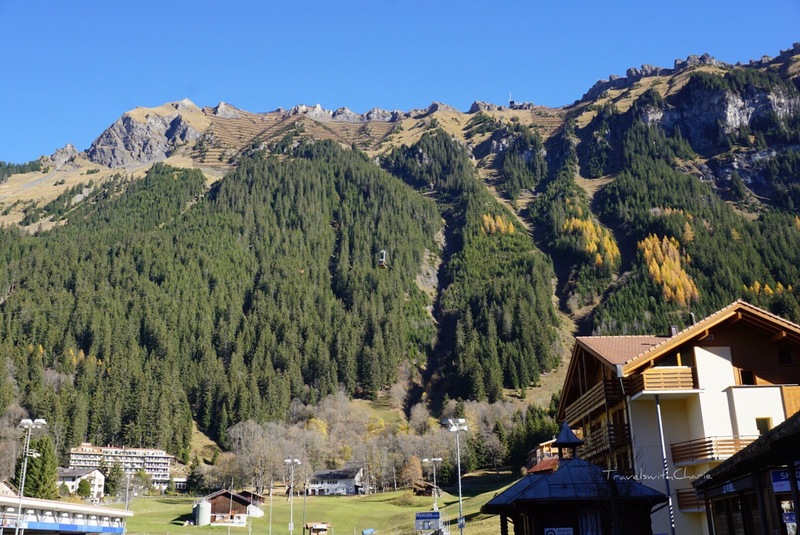 There is beauty of nature to behold, clear mountain air to breathe and an indulgent sense of tranquility that beckons a return visit, perhaps a longer one. 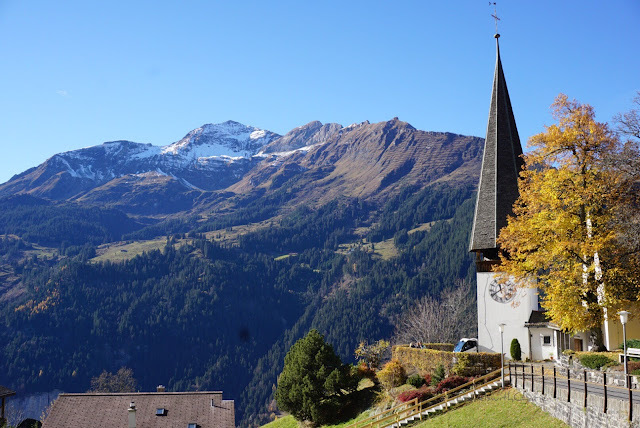 The view from the Protestant church of the valley below and the peaks of the Jungfrau mountain range is staggering. 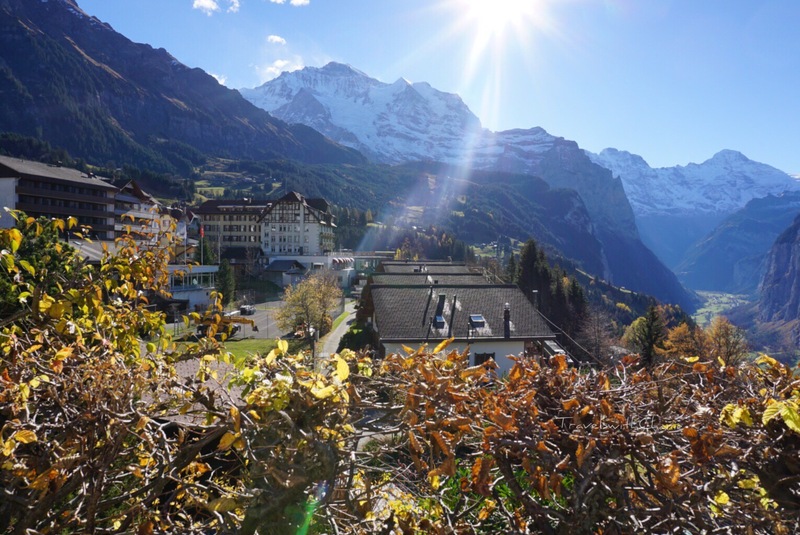 A cog railway ascends to Wengen from Lauterbrunnen taking 15 minutes through stunning countryside where every turn revealed waterfalls flowing down lofty peaks, green valleys and the gold foliage of autumn. 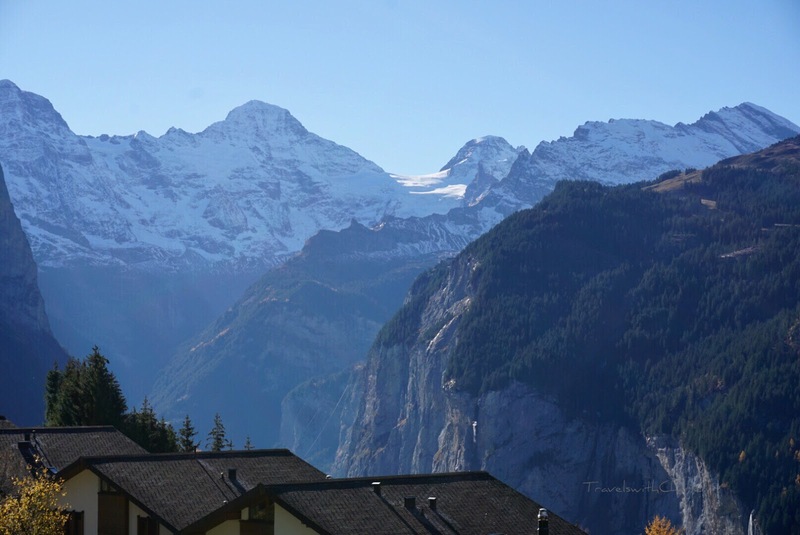 Take the train from Interlaken Ost to Lauterbrunnen where you transfer to the Wengernalp railway. The Lauterbrunnen train station is small and there are frequent train services to Wengen from there. Go to www.sbb.ch for schedules and fares.